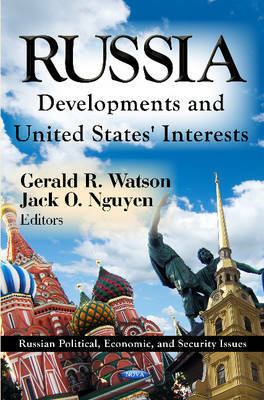 This book examines the current political, economic, security, and U.S. interest issues facing Russia today. Although Russia may not be as central to U.S. interests as was the Soviet Union, co-operation between the two is essential in many areas. Russia remains a nuclear superpower and still has a major impact on U.S. national security interests in Europe, the Middle East, and Asia. Russia has an important role in the future of arms control, the non-proliferation of weapons of mass destruction and the fight against terrorism. Russia is an important trading partner and is the only country in the world with a greater range and scope of natural resources than the United States, including vast oil and gas reserves. Many of Russia's needs - food and food processing, oil and gas extraction technology, computers, communications, transportation, and investment capital - are in areas which the United States is highly competitive, although bilateral trade remains relatively low.